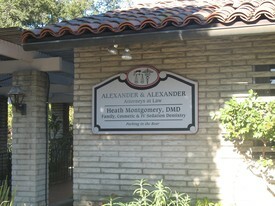 Our dental office located in Santa Barbara is currently accepting new patients. If you have any questions or wish to contact Dr. Montgomery directly, please call or email anytime. Feel free to request an appointment!! There is plenty of parking available to patients in the back of the building. The driveway is on the left side of the building. The entrance to the office is next to the parking lot.